Thanksgiving is almost here and I’m ready to show you some of my favorite recipes to Celebrate a Vegan Thanksgiving. 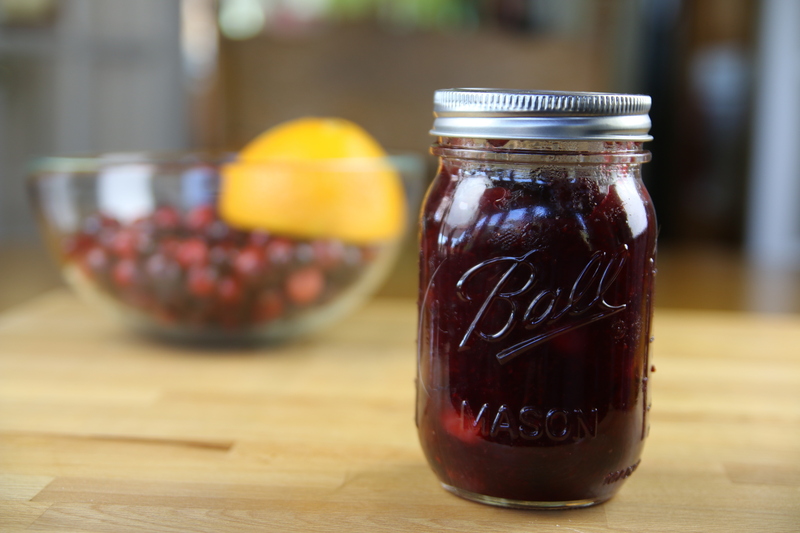 This first recipe is for a simple but delicious Homemade Cranberry Sauce. You don’t have to be vegan or vegetarian to enjoy this sauce. 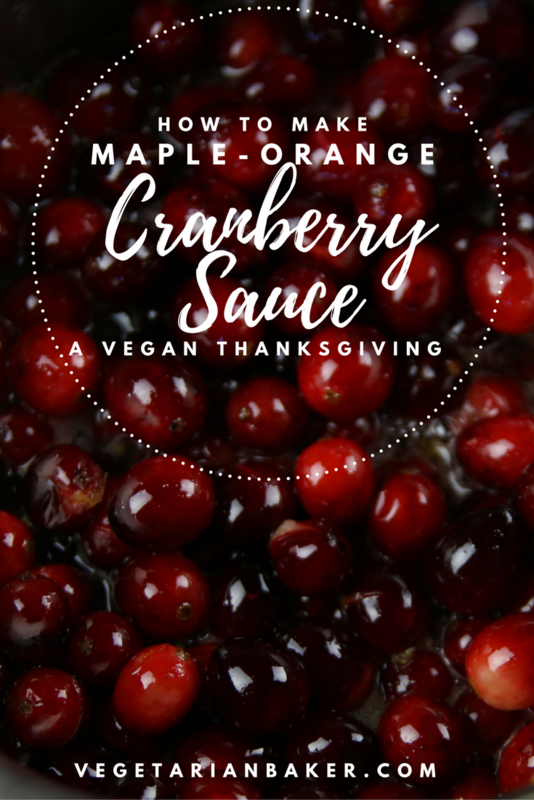 No need to buy canned Cranberry sauce when you have a delicious recipe like this one. Cranberry Sauce goes great on you Thanksgiving Main Dishes, Bread, Desserts, and even cocktails. If you have recipe you would like to see me make, let me know in the comments below. 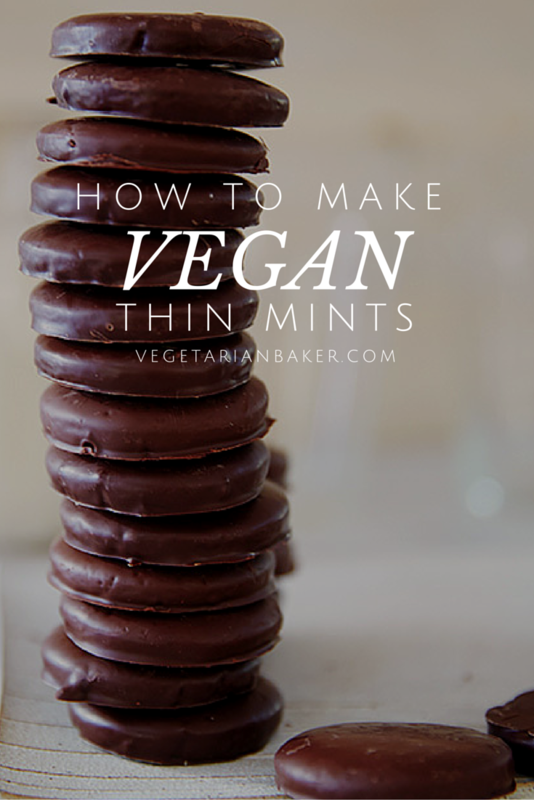 Let me know of what you think of this recipe on via twitter or instagram (@vegetarianbaker & #thevegetarianbaker). Place all ingredients in a medium saucepan. Heat over medium heat. Stir every few minutes to prevent burning on the bottom of the pan. Heat on medium heat for 20 minutes. You should see your maple syrup starting to simmer and cranberries will start to burst. After 20 minutes remove from heat. Your cranberry sauce will be thickened and will become even thicker as it cools. Store in a mason jar or airtight container in the fridge.